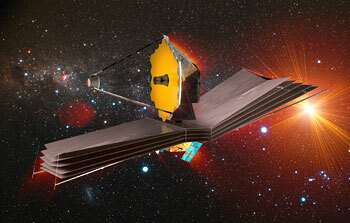 Subscribe to receive news from ESA/Hubble! 28 December 1999: ESA astronauts Claude Nicollier and Jean-Frangois Clervoy and their five fellow crew members on the Space Shuttle Discovery returned to Earth today (28 December at 0001 GMT) after a spectacular mission to service the Hubble Space Telescope. 20 December 1999: On the tenth scheduled attempt, NASA launched the Space Shuttle Discovery at 1:50 CET Monday morning on Hubble Servicing Mission 3A. 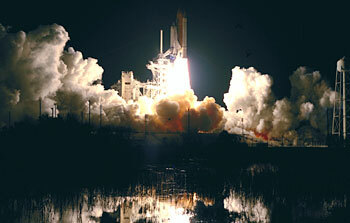 The two previous launch attempts were called off due to poor weather: cumulus clouds, low cloud ceiling, lightning, rain, and generally disturbed weather violated several of the Shuttle launch conditions. 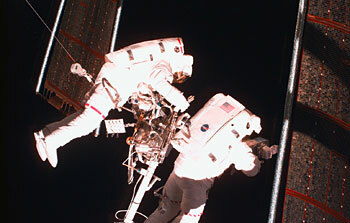 9 December 1999: Two of the European Space Agency's most experienced astronauts are preparing to board the Space Shuttle Discovery as part of the international crew to be launched on an end-of-the-year mission to service the Hubble Space Telescope. 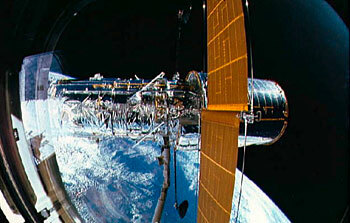 25 November 1999: The Hubble Space Telescope (HST) is a joint ESA/NASA project launched into a low-Earth orbit 600 km above the ground in 1990 by Space Shuttle mission STS-31. During its first nine years of operations HST has become one of the most important science projects ever.Today the HST Archives contain more than 260 000 astronomical observations. 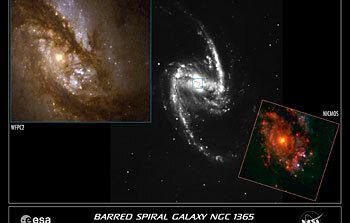 More than 13 000 astronomical objects have been observed by hundreds of different groups of scientists. Direct proof of the scientific significance of this project is the record-breaking number of papers published: over 2400 to date.Footnote 10 December: Launch date under review. 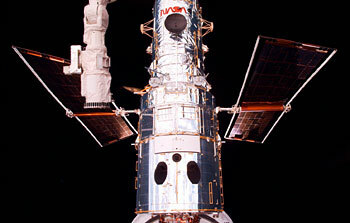 16 November 1999: Just 24 days before its third Servicing Mission, the Hubble Space telescope has been placed into a safe mode, triggered by a failure in one of Hubble's last three working gyroscopes. 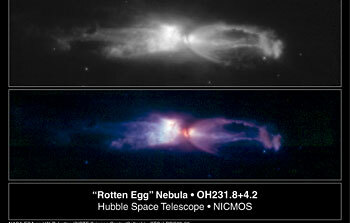 19 October 1999: The object shown in these ESA/NASA Hubble Space Telescope images is a remarkable example of a star going through death throes just as it dramatically transforms itself from a normal red giant star into a planetary nebula. This process happens so quickly that it is quite rare to observe such objects, even though astronomers believe that most stars like the Sun will eventually go through such a phase. 6 October 1999: The Hubble Space Telescope is uncovering important new clues to a galaxy's birth and growth by peering into its heart - a bulge of millions of stars that resemble a bulbous centre yolk in the middle of a disk of egg white. Hubble astronomers are trying to solve the mystery of which came first: the stellar disk or the central bulge? Two complementary surveys by independent teams of astronomers using Hubble show that the hubs of some galaxies formed early in the Universe, while others formed more slowly, across a long stretch of time. 17 September 1999: Detailed proposals for the construction of the Next Generation Space Telescope (NGST) were presented during the yearly NGST meeting. Representatives from the three major participants in the project, NASA, ESA, and CSA discussed scientific ideas and technological possibilities for 'the space observatory of the next decade'. 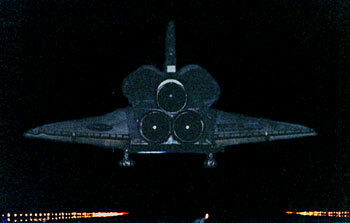 NGST will be launched in late 2007 or early 2008.